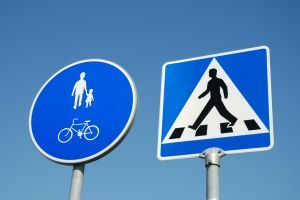 The 2011 edition of the pedestrian safety report has recently been released by Transportation for America. This newly released data analyzes fatalities from pedestrian accidents in Boston and elsewhere in the United States between 2000 and 2009. After the release of this data, Dangerous by Design 2011 will examine the problem areas and construct potential solutions to prevent these deadly accidents. Dangerous by Design will be looking at the 47,000 pedestrian fatalities, and 688,000 pedestrian injuries. Our Boston pedestrian attorneys understand the importance of this report. According to these findings, Massachusetts suffered nearly 1,000 pedestrian fatalities in the study period. These accidents cost our state more than $3 billion. Our state is ranked 42nd, out of the 50 states, on the Pedestrian Danger Index (PDI). Pedestrian fatalities for those over the age of 65 ranks 10th in the nation. That’s the great thing about the newly released data. It comes with state-specific information. It provides the user with an interactive pedestrian map that allows user to zoom in to their own community to see just how many fatal pedestrian accidents have occurred during the study period. If you look at the interactive map, you’ll notice that a majority of these pedestrian accidents happened along “arterial” roadways across the nation that are not created with pedestrians in mind. These streets are designed to accommodate speedy traffic instead. Many advocates who support these fast-travel highways protest that pedestrian safety is the sole responsibility of the local government. But, statistics prove otherwise as nearly 70 percent of pedestrian fatalities have occurred along these federal-aid roads over the last 10 years. This only leads us to believe that federal programs continue to persuade state governments to place their focus of fast-travel roads instead of on the safety of pedestrians in neighborhoods and shopping districts. Still, Congress continues to contemplate the elimination of such funds altogether. If you would like to contact Congress and urge them to continue the funding of pedestrian safety projects with your tax dollars, you are urge to submit your zip code to our website to ensure your message to the appropriate recipient. If you or a loved one have been experienced a pedestrian accident in the Boston area, contact Massachusetts Car Accident Attorney Jeffrey S. Glassman for a free and confidential appointment to discuss your rights. Call 1-877-617-5333.